Register now for this free webinar to earn one contact hour towards your CEUs! We know it's difficult to earn CEUs with your busy schedule. 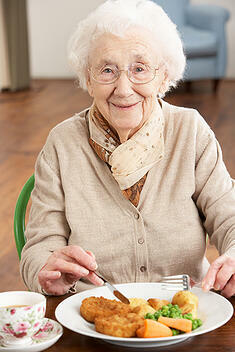 That's why we are offering an educational webinar, Care Planning for Malnutrition in Older Adults, just for you. The program has been approved by The Commission for Case Manager Certification to provide CCM board-certified case managers with one clock hour, by the FL Board of Nursing to provide registered nurses and licensed practical nurses with one clock hour, and by the Texas Nurses Association to provide registered nurses with 1.17 clock hours. Fill out the form on the right to be notified of when the next webinar is scheduled!